There are eight golf courses in Green Valley and the surrounding communities. There are two private clubs offering memberships, Desert Hills Golf Club and Country Club of Green Valley. Memberships are also available at Torres Blancas, Canoa Ranch and San Ignacio public courses. Seasonal memberships are offered at some of the courses as indicated below. To find out more about the individual courses, click on the links below. 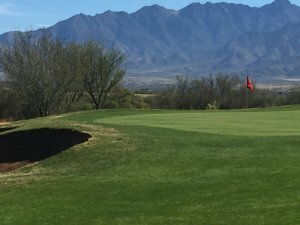 In nearby Tucson there are 36 courses, several of which are award winning courses, and in 2019 the Cologuard Classic was held at the Omni International course in Tucson. They currently offer 27 holes of golf.